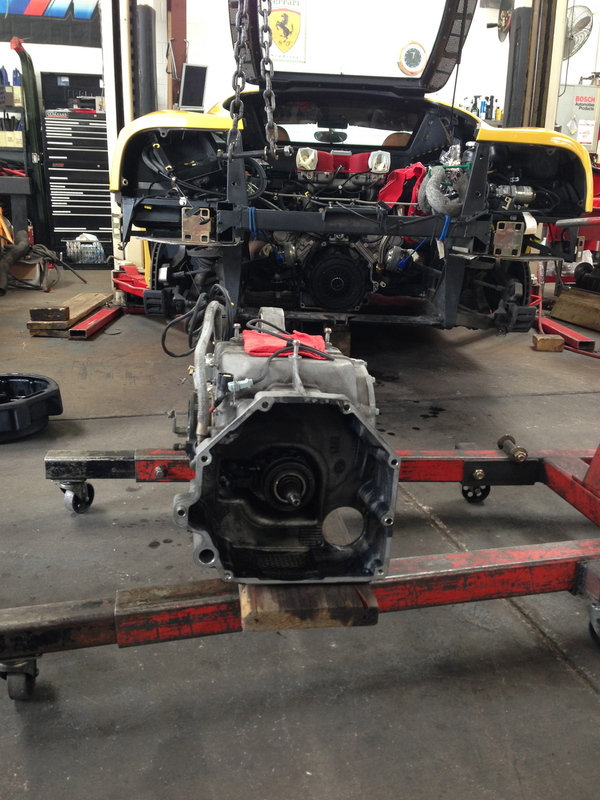 This Ferrari has a F1 gearbox and needed a clutch. We have the factory tool to set the clutch and without it you can toast a brand new clutch up, by driving around the block. It now has Fabspeed headers, Viezu tune and a retuned transmission control module.